Bulgaria is one of the oldest states in Europe, located in Southeastern Europe, bordering five other countries: Romania to the north (mostly along the Danube), Serbia and the Republic of Macedonia to the west; Greece and Turkey to the south. The Black Sea defines the extent of the country to the east. 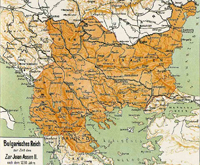 Bulgaria comprises the classical regions of Moesia, Thrace, and Macedonia. Old European culture in the region started to produce golden artifacts by the fifth millennium BCE. Through Bulgaria runs the meridian number 22. Why is it called “Bulgaria”? The name “Bulgaria” comes from the name of the first tribe, Bulgar (also known as Proto Bulgarians), established the state, coming from South-Eastern Europe and Central Asia areas in 680-681 A.D.
Before the establishment of Bulgaria there were another couple of Bulgarian states East from nowadays Bulgaria and one Great Bulgarian state. 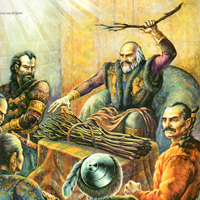 Because of the emerging population and economic prosperity of Great Bulgaria the ruler of it - Kan Kubrat told his sons to take there people and find other territories where to establish the nest Bulgarian states, but as the legend says while talking to them he ordered them to stay together. The idea was that if they aren't united they are like one branch of wood - easy to brake, but if they are together as a bundle of branches, than it cannot be broken. Proud with its remarkable nature, Bulgaria is the homeland of the rose water, component, used in the perfume industry all over the world. Bulgaria occupies a relatively small area - 111 000 sq. km, but is nevertheless distinguished by generous and varied nature - a sea with a 380 km. long coastal strip and golden beaches, one of the top tourist destinations in Europe, with more than 70 villages, cities and holiday complexes. Also popular as excellent skiing resort, Bulgaria has 16 mountains with their own characteristic features and excellent conditions for winter sport. On its territory, the country has shelters, valleys and high plateaus, over 550 curative mineral springs, dozen of unique natural phenomena and 2000 thrilling caves, a healthy climate and diverse flora and fauna. As a whole Bulgaria's vegetation can be ranked among the Central European forest region. In fact, Bulgaria boasts 3000 higher plant varieties - almost twice as many as in England. More then one quarter of the country's territory is covered with forests. The Bulgarian fauna is no less interesting, with almost 13 000 animal species and subspecies, or about 14 percent of all European species. Fishing is possible in lakes, dams, mountain brooks and sea, hunting - in special hunting grounds. 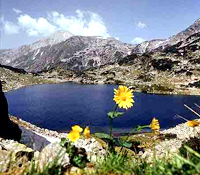 In Bulgaria is the highest mountain top on Balkans - Musala (2925 m). Founded in 681 A.D. by Khan Asparuh, Bulgaria has a very rich history divided into three Bulgarian kingdoms (twice empires). Bulgarians are part of the Slavic world in Europe, inheritors of Slavs, Thracians and Proto Bulgarians (coming from Central Asia area). Bulgaria became Christian country, Orthodox during the First Kingdom, in 864 A.D. Through centuries Bulgaria was under ruled twice- once by The Byzantine Empire and once, for 5 centuries, by The Ottoman Empire. After 500 years under the Ottoman rule, Bulgaria was re-established as a constitutional monarchy in 1878, with the Treaty of San Stefano marking the birth of the Third Bulgarian Kingdom. After World War II, Bulgaria became a communist state and part of the Eastern Bloc. In 1990, after the Revolutions of 1989, Bulgaria transitioned to democracy. Currently, Bulgaria has a parliamentary democracy under a unitary constitutional republic. A member of the European Union since 2007 and NATO since 2004, it has a population of approximately 7.7 million, with Sofia as its capital and largest city. Bulgaria is looking forward on becoming a regional centre and guarantee for security and stability. The official religion in Bulgaria is East Orthodox, but many traces from the typical Bulgarian folklore and from a cultural heritage for centuries, including ancient period, Roman, Byzantine, Ottoman empires, Thracian and Proto Bulgarian cultures still remain. The country is the homeland of the Cyrillic alphabet, now used in many East European languages. Bulgaria is popular with its unique music folklore, remarkable songs and melodies, played only here (most popular Bulgarian folklore singers in the world are “The mystery of Bulgarian voices”). Pure and typical tradition can also be seen in the huge number of churches and monasteries in the country- remarkable constructions, icons, iconostases, some of them dated back in the dawn of Christianity. 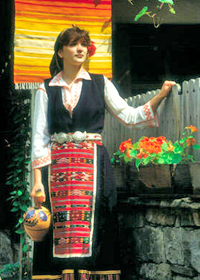 Unique Bulgarian culture includes traditions in ceramics, carpet making and remarkable cuisine. Something significant for Bulgaria is keeping an old ritual from the Pre Christianity period- celebrating the coming of the spring on 1st of March with the co-called “martenitza”- traditional white and red cotton-made ornament, given to anyone for health and luck. 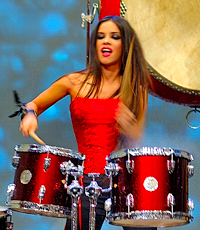 Bulgaria has strong sport traditions in many sports. Its popular schools for wrestling, gymnastics, athletics, soccer, volleyball, ice skating, chess won many golden medals and prestigious world championships - two times world champion in ice skating, world champions in chess (both men and women), absolute world champions in athletics, gymnastics, European champions in volleyball. Some of the world’s most popular soccer players are also Bulgarians - Georgi Asparuhov-Gundi, Hristo Stoichkov, Dimitar Berbatov, Stilian Petrov. The 2 fastest women on the planet are Bulgarians - Ivet Lalova (on the photo) and Tezdhan Naimova. 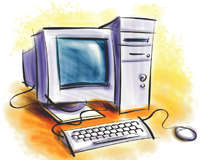 Bulgarian youngsters almost always win prizes in international math, computer and informatics olympics and competitions. Bulgaria is really notable for its cuisine and great drinks. A homeland of the yogurt (“kiselo mliako” in Bulgarian), the country has more than 50 sorts of red and white wine and brandy (so-called “rakia”), nearly 15 sorts of beer, exporting for all Europe. Typical Bulgarian cuisine includes wonderful bread, many types of salads, including the so-called Bulgarian cold soup, “tarator” (yogurt, cucumber, water), minced and barbeque meals, different types of dishes as “giuvetch” (baked meal mixed with vegetables), “musaka” (baked minced meal, mixed with potatoes and eggs), “kapama” (mixture of meals), “shkembe chorba” (tripe soup), etc. You use it every day - Bulgarians invented it! Some of the things, very much used in the modern world own their existence on the progressive mind of Bulgarians, such as the first computer, the Parkinson vaccine, the electronic watch, also the first motorized airplane with third wing, the most distanced planet (5000 light years from the sun) was discovered by a Bulgarian. The Proto Bulgarian calendar is recognized by UNESCO as most précised in the world. Also Bulgarian citizens invented the air-bags in automobiles and they first used airplanes for armed combat by dropping bombs from them. Things you must see in Bulgaria! - The old cities of Nessebar and Sozopol at the seaside and Koprivshtitza in the mountain. - The incredible Thracian complexes in the Kazanluk Valley (also, the tomb of Orpheus). Nevertheless Bulgaria has a young democracy, the country was always a part of the world movement. 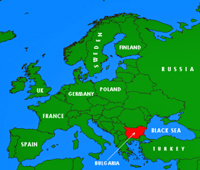 Part of the European Union since 2007 and of NATO since 2004, Bulgaria is member of the United Nations since 1955, also member of OSCE and chaired it in 2004, member of Black Sea Corporation (BSC), participates in the International Development Cooperation. - Going to... not a good idea. - Must see in Sofia. 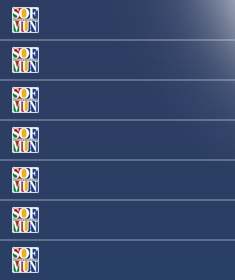 - Events during SOFIMUN - out of program. - Clubs where SOFIMUN parties will be held. - Map of Sofia city. - Map of committees' venues. - Map of "Must see in Sofia". - Map of SOFIMUN parties. - Map of main transportation. - Map of embassies of foreign states. - Map of main institutions. 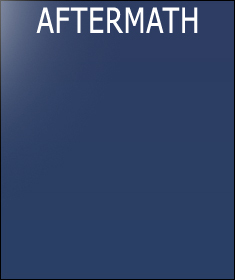 - Map of museums and galleries. - Map of emergency help centres.